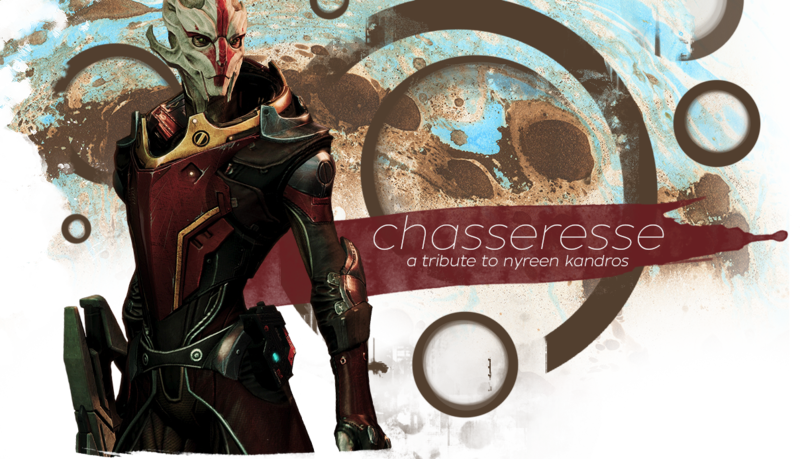 With extensive military experience and biotic abilities, Nyreen is a formidable foe and a valuable squad member. Her experience as a soldier has trained her in the use of assault rifles and she's very proficient with heavy pistols. Nyreen is a Turian Huntress, a unique class that increases the effectiveness of her technological and biotic abilities (namely damage and shields). Rank 1: Increases power damage/health/shield bonuses by 15%. Rank 2: Increases power damage/health/shield bonuses by 30%. Rank 3: Increases power damage/health/shield bonuses by 45%. Rank 4: Increases power damage/health/shield bonuses by 75% and weapon damage by 30%. Rank 5: Increases power damage/health/shield bonuses by 75% and weapon/biotic/tech damage by 30%. Rank 6: Increases power damage/health/shield bonuses by 75%, weapon/biotic/tech damage by 30% and squad's tech/biotic powers by 20%. Nyreen fires a highly explosive plasma round from her omni-tool, burning her opponent and doing damage over time. This damage negates any health regeneration effects that her enemies might have been under and is highly effective against armor. Leveling up Incinerate reduces its cooldown time, increases its damage and impact radius. The highest level of Incinerate will do extra damage against enemies under frozen effects. Overload is exactly what it sounds like; Nyreen uses it to overload her opponents technology, rendering shields inactive and overheating weapons so they cannot be fired. Since it's a technology based attack, Overload is highly effective against synthetics. Higher levels of Overload have a chance of hitting additional targets. Nyreen is able to create a biotic shield that surrounds her and her allies. Higher levels reduce the cooldown of the ability, extend the duration that the shield is active and increases the damage the shield is able to withstand. At rank 4, whenever Nyreen deploys the shield, damage is done in a 3 meter blast radius. The highest level also increases weapon damage. Nyreen hurls a grenade towards her enemies, resulting in a blast radius of 5 meters that suspends all targets in the air for a limited amount of time. Leveling this ability up results in a longer duration, larger impact radius and the capacity to carry more grenades.